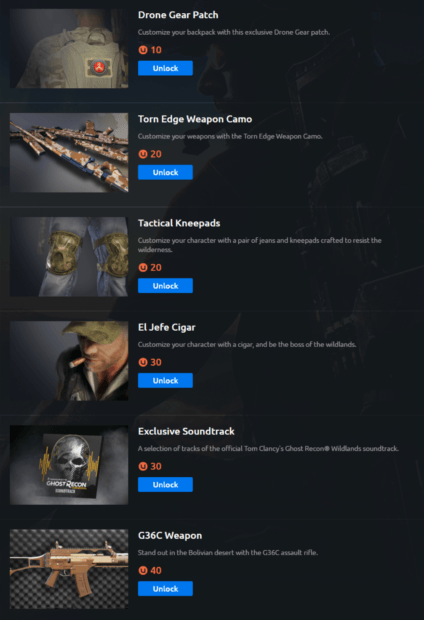 Although the game is still a few weeks away, digging around in Ubisoft’s Content Delivery Network has revealed some of the unique Ghost Recon Wildlands unlockables which will be available at launch. 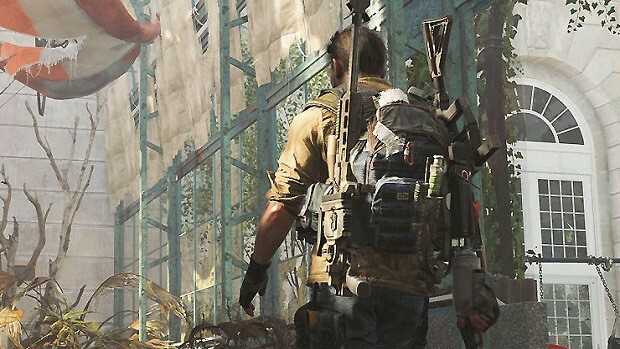 Similar to Ubisoft’s previous games, the Ghost Recon Wildlands unlockables feature outfits and skins themed after other Ubisoft franchises including Assassin’s Creed, Splinter Cell and The Division. For Twitch Prime subscribers, there will also be a unique Twitch pack with the Santa Blanca Cartel outfit and a Skorpion weapon skin. 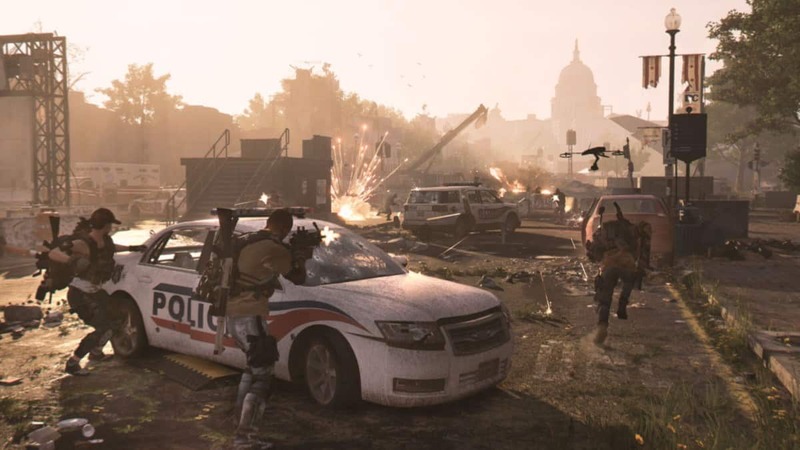 Cross-franchise rewards are pretty common when it comes to Uplay games and have been sort of a way for Ubisoft to reward the loyalty of players. The system detects which games the player owns and then unlocks the rewards accordingly. Recently, Rainbow Six Siege, The Division and the newly launched For Honor also delivered cosmetic unlocks like this. Among the other Ghost Recon Wildlands unlockables is also a Rainbow Six Siege weapon skin, a new type of Ghillie Suit, a couple of patches and a drone skin that seems to be throwing confetti. Thankfully, the drone skin won’t be affecting the gameplay so bad guys won’t be able to detect all that falling confetti and cause an alert. The full list of unlockables can be seen here alongside their pictures. 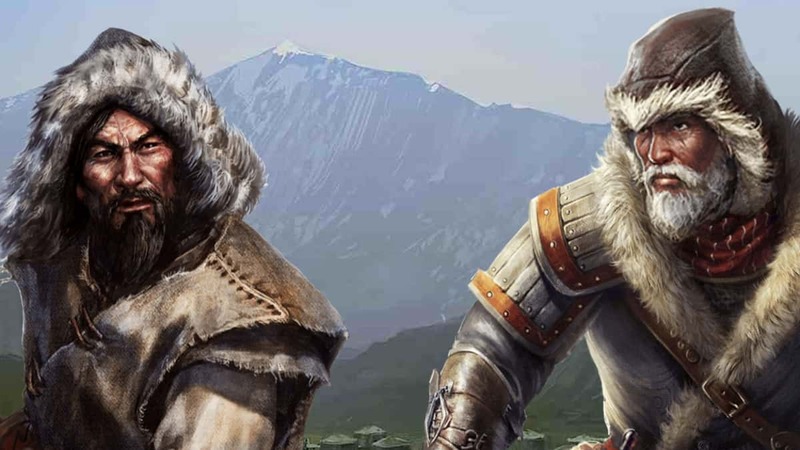 Whether all of these unlockables will be free to unlock or not remains to be seen but similar to the emblems available in For Honor, at least the unlocks for other Ubisoft franchises would be free. Alongside these hidden items, the Open Beta container of Ghost Recon Wildlands has also given us a look at some of the “paid” unlockables in the game, all of which can be unlocked by using Uplay Credits. These Uplay points/credits serve as a reward for playing through Ubisoft games and achieving certain milestones. Each game has a number of Actions which reward players with points that can later be used to unlock Rewards or used at the store for a discount on game purchases.